Jason has been with our firm since 1997, starting as an intern and evolving into one of our most skilled architects and project managers. His willingness to learn and his desire to succeed has delivered significant value to projects throughout the Rocky Mountain region, including the Discovery Learning Center at the University of Colorado, the Wildlife Museum in Parker, the Denver School of Science and Technology and the Hyatt Regency Denver Colorado Convention Center, among others. Jason is particularly talented in translating design concepts into construction documents in a timely and cost-effective manner, as well as listening to clients and helping them realize their visions while keeping projects within budget and on schedule. 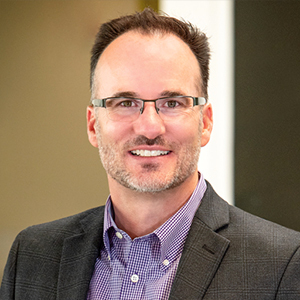 In addition to being an expert project leader, Jason takes a leading role in business development in the Denver region — establishing new client relationships, strengthening community partnerships and assisting in the overall development of our Denver office. As architects, our greatest responsibility and contribution to any project is to provide constant leadership, to develop all aspects of the design with our client’s aspiration and vision, and to coordinate that vision with our team of consultants. A great project is not only visually captivating; it also functions just as the client had envisioned.